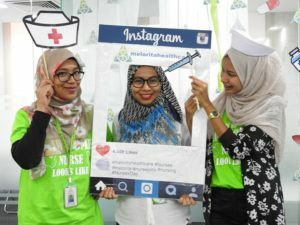 Last Thursday, May 12th, marked the International Nurses Day celebration where nurses were honored for their endless dedication and contributions made to the society ,and, which is also the birth date of Florence Nightingale, the founder of modern nursing. 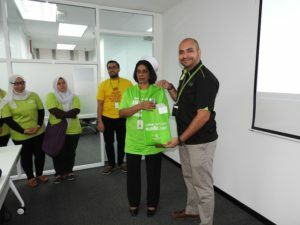 The Melorita Healthcare (HQ) team, which office is based in Petaling Jaya, had organized a special celebration for their nurses. 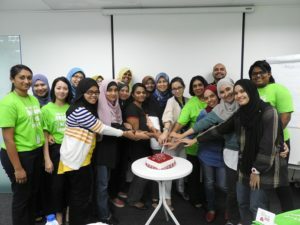 During this celebration, the bosses and staff of Melorita had the opportunity to pen down their own personal message to the nurses on a special greeting card, which was then handed over to the nurses who attended the celebration. To add a little touch from the public on what they thought about nurses, a special video was launched on this day to let our nurses know how important they are to the society and the healthcare industry. On this day. 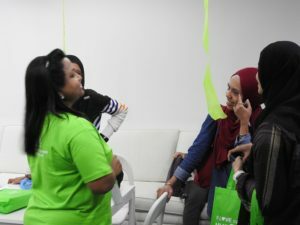 we were more than happy to have our very own candidates who were attending the pre-departure briefing to celebrate with us, as well as Melorita’s Home Health Nurses and Ms Shantee Karuppiah whose presence gave the event a more nursing touch to the event. 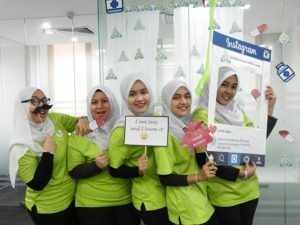 We have more updates coming your way from our branches in Penang, JB, Kuching and Kota Kinabalu. Stay tuned!